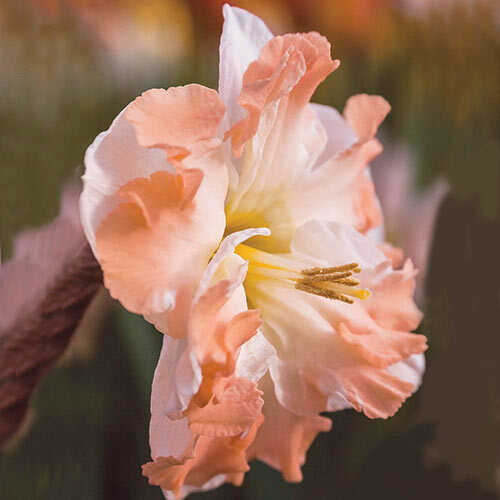 Ruffled apricot-pink cup against a backdrop of white petals. Split-Cup Daffodil. Merry blooms will greet your clients for many springs to come. Double varieties feature full, fluffy blooms with multiple layers of petals—a bouquet of blooms on each stem! Split-Cup Daffodils, also known as Butterfly Daffodils, boast broad, flat, split cups in a rainbow of colors. Unique variations of ruffled, frilly cups create a dramatic garden atmosphere.